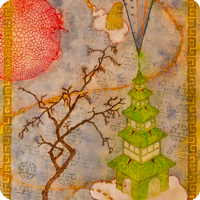 I started up a meditation blog called Regroove Mediation. This is my first illustration for the Inner Smile Meditation. The thyroid gland regulates the body’s metabolism. The thyroid’s butterfly shape is located in the frond of the trachea, just below the larynx. 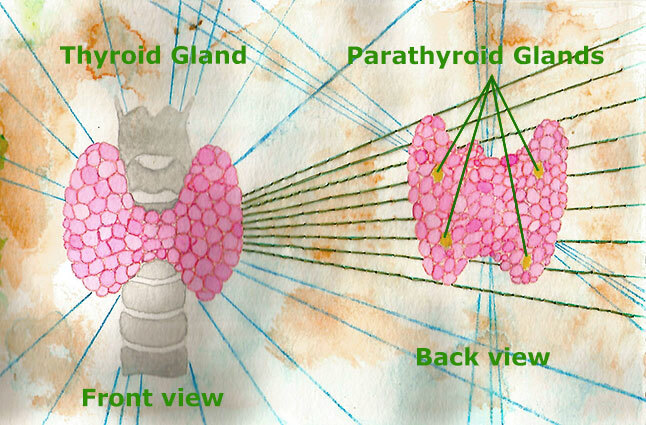 The parathyroid glands are four tiny glands on the back of the thyroid gland. The parathyroid glands controls the levels of calcium in the blood.